Midnight sun light the skies in Tromsø from about 18 May to 26 July. It is possible to see aurora in Tromsø from early September until end of March. 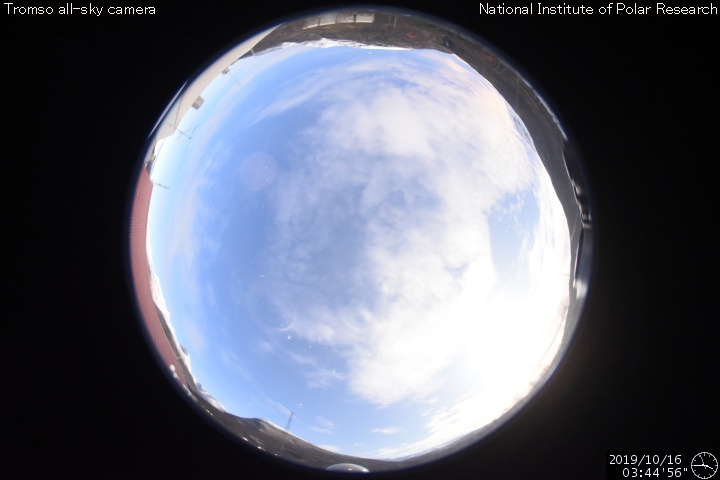 PLEASE NOTE: the all-sky webcam images are automatically refreshed only during nighttime. This page is made for everyone looking for forecast and activity resources of Northern Lighs (Aurora Boralis) in one place. You can find information about Northern Europe (Norway, Finland, Sweden, Svalbard - Spitsbergen). This graph shows the most recent magnetogram readings from Tromsø. This graph shows activity in Tromsø for last month. Live all-sky image from camera in Kiruna, Sweden. Kiruna is located 200km in straight line from Tromsø, just 2 degree south. If there is visible activity, in most cases it is also visible in Tromsø. Live all-sky image from camera in Oulu, Finland. Oulu is located 587km in straight line from Tromsø, just 4 degree south. If there is visible activity, probably it is also visible in Tromsø. 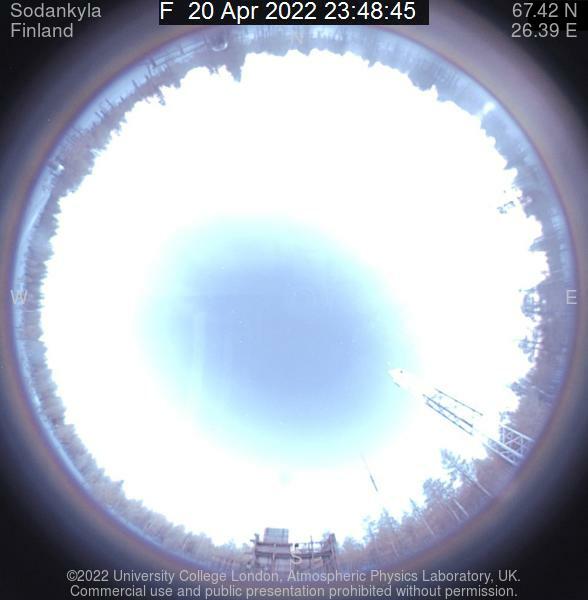 Aurora Oval measured by satelites. From NOAA Space Weather Prediction Center. Graphical estimated aurora borealis oval from Geopysical institute,University of Alaska. 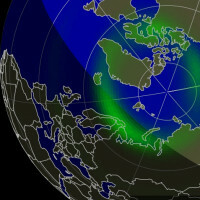 Graphical estimated aurora borealis oval from national norwegian TV.